We stock a wide range of wallpapers and paints, and all of our staff have been with us for at least ten years – so we know our products. There’s a free drinks machine and kids’ area and plenty of parking outside. 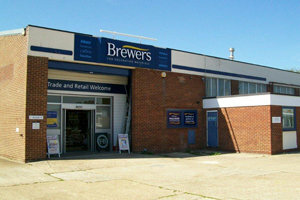 The Bexhill Brewers Decorator Centre is on Beeching Road Industrial Estate – the same road as the fire station and right next door to Howdens. There’s plenty of free parking, as well as easy disabled access, so it’s never a problem to load up the van or back of the car with as much paint, rolls of wallpaper and various decorating equipment as you need.